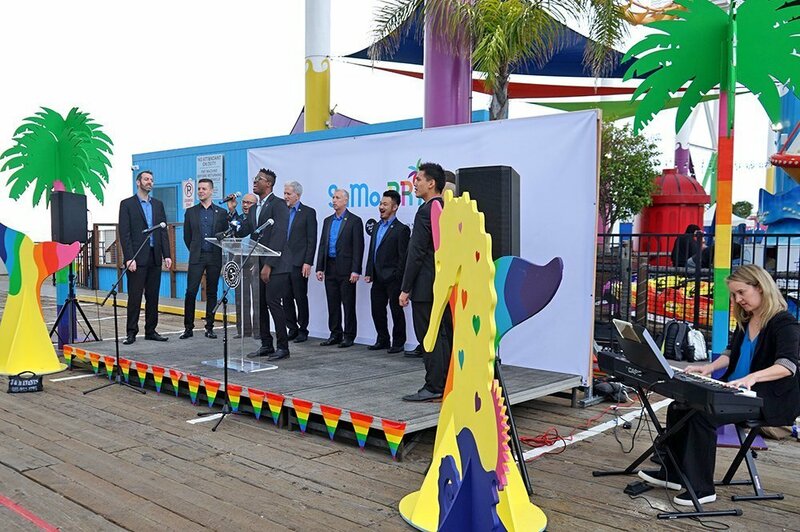 Downtown Santa Monica, Santa Monica Pier, Santa Monica Place, and the City of Santa Monica officially announced the launch of the first ever SaMo PRIDE coming up for Pride Month in June. The City will host festivities and programming to raise awareness and celebrate the LGBTQ+ community as well as individuality, empowerment, and inclusivity within Santa Monica. 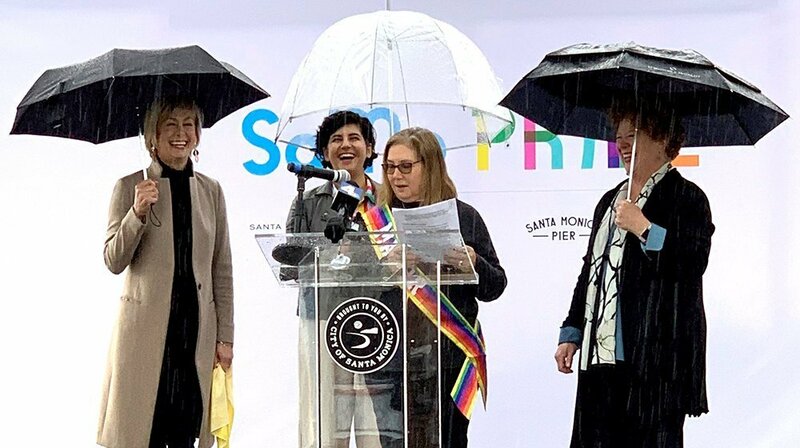 Santa Monica Mayor Gleam Davis, led a press conference this past Thursday on a rainy morning at the Santa Monica Pier Parking Deck where she provided additional details about SaMo Pride and the City of Santa Monica’s ongoing initiatives. During the month of June, Santa Monica Pier, Santa Monica Place, Third Street Promenade and surrounding businesses will celebrate Pride with programming, activities and incredible light installations that will span for miles of city streets and light up the sky with rainbow colors. City partners will host food festivals, happy hours, storytelling time for kids, silent discos and more to celebrate love in every color, with a focus on family-friendly art, events and community connection. Miles of Pride will be a key programming highlight of SaMo Pride. The light Installation will serve as a backdrop for a full calendar of events that bring together the Santa Monica community and guests from around the world. 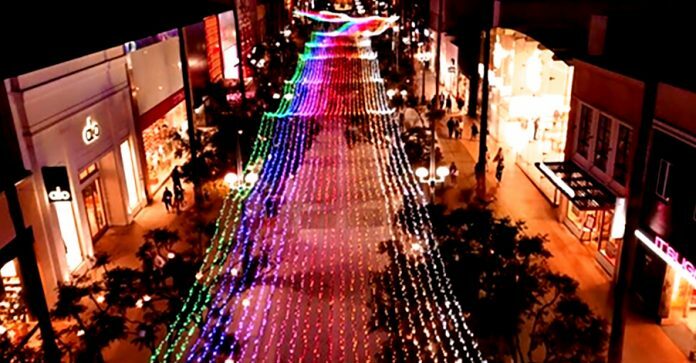 Miles of Pride will feature rainbow lights shining brightly every night during the month of June at the Third Street Promenade, Santa Monica Place and at the Santa Monica Pier. A kick-off celebration for this light installation will take place on Saturday, June 1 at 8 p.m. The event will begin on the Santa Monica Pier deck, and then will follow a procession through Downtown Santa Monica to all the installations in the area, wrapping up at the northern end of the Third Street Promenade. 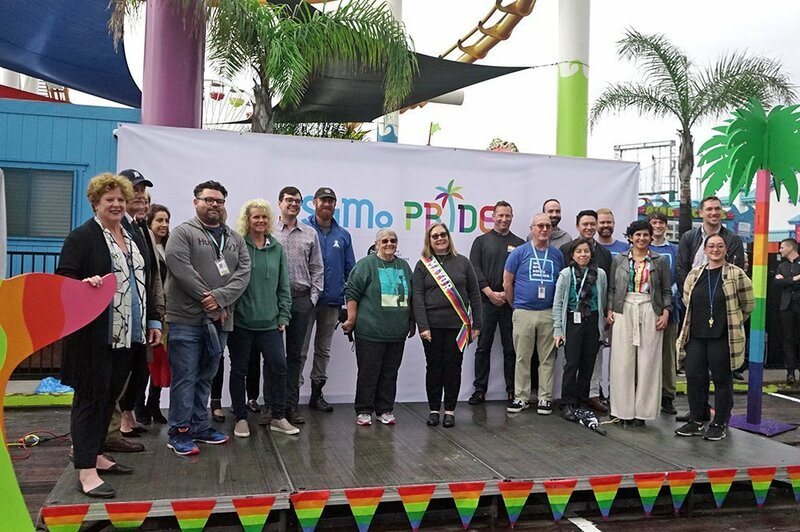 “We are so excited to see the historic Pier bridge light up in rainbow colors this June, and are so proud of the larger Santa Monica community for joining together to start a robust PRIDE program that can signify to other cities across the world the importance of standing with the LGBTQ+ community,” said Negin Singh, executive director of the Santa Monica Pier Corporation. For more information, sign up for the SaMo PRIDE newsletter and view a calendar of events at www.smpride.com.